SpeedCoder is an online typing practice tool for programmers. 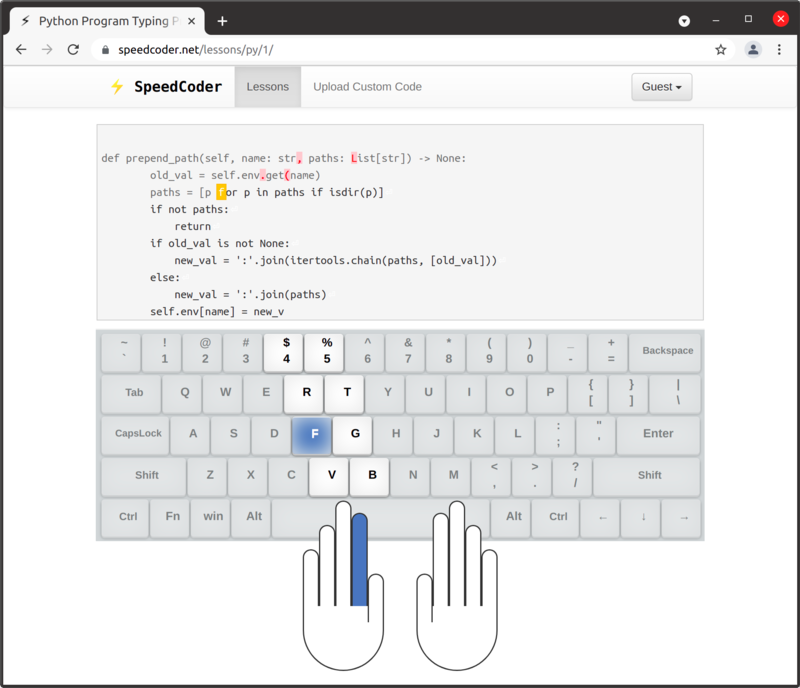 Using SpeedCoder, you can practice typing source codes of your favourite language with finger guiding system. While practicing you should not look at the keyboard but the screen which shows where the fingers will be placed. After completing each lesson you can see your WPM (words per minute), accuracy and keys with most mistakes. How is it different from others? Developed by Aman Deep , currently studying in 3rd year, Information Technology, NIT Durgapur.